Rather winter ? Rather summer ? Le Refuge des Aiglons 4* hotel can be likened to a real life social network, especially since its complete renovation in 2017. 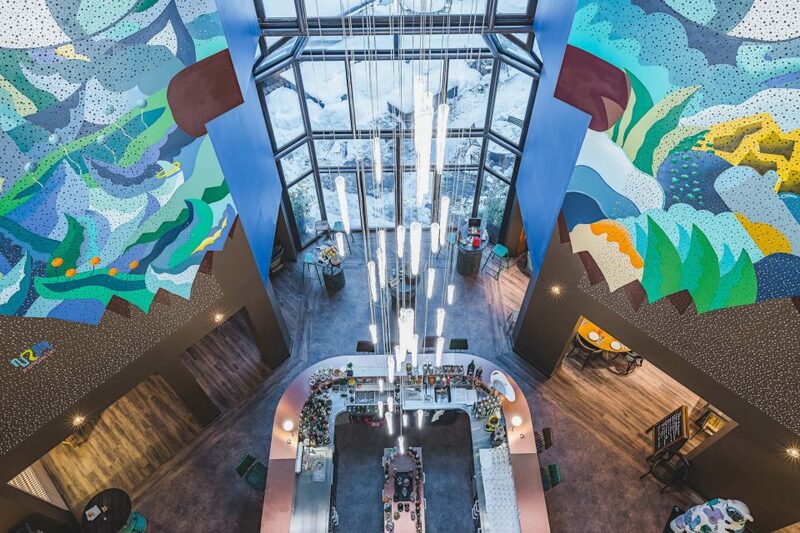 It is a cozy, modern, lively, and convivial mountain lodge right in the middle of Chamonix that can surprise you in more way than one. Our mantra here at Le Refuge des Aiglons is to offer you not only a cozy bed and a full minibar, but also a happy and trendy atmosphere. 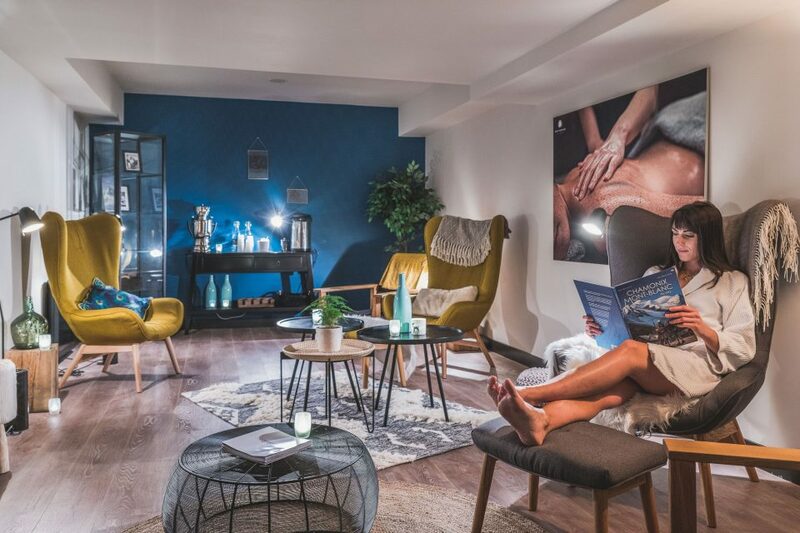 Discover our “Life Space” and its open common areas, come and relax in the spacious lounge, have a signature cocktail at the bar, or have a traditional local lunch at the restaurant. And you can you can do all that while keeping the majestic mountains within eyesight. 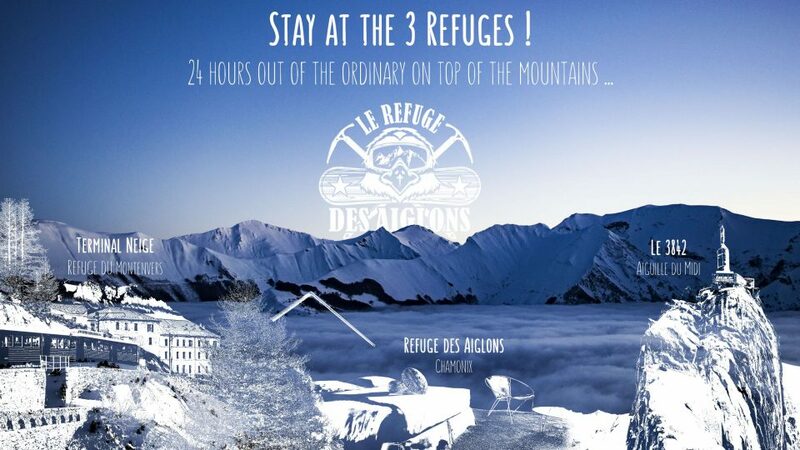 Sports enthusiasts, food lovers, families, businessmen… Le Refuge des Aiglons has something for all of you. This spacious and stimulating hotel is a home away from home for everyone. Our establishment has retained the typical vintage, cocooning atmosphere of a traditional mountain lodge whilst adding a touch of modernity in its design, especially in the rooms. 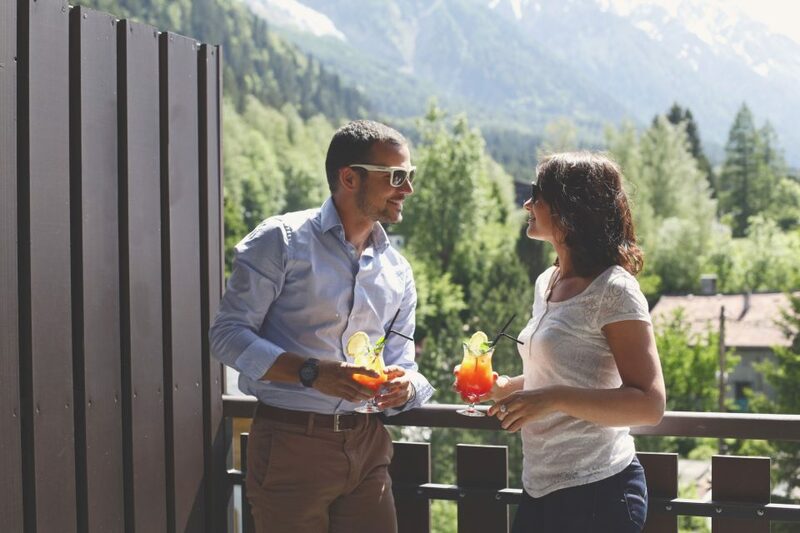 On our lovely terrace facing Mont Blanc you can find an old cable-car cabin that turns into a DJ’s booth on special nights. An inspiring and dynamic place, Les Aiglons is also in tune with the valley’s top cultural events. At Le Refuge des Aiglons, we simply enjoy taking care of you. 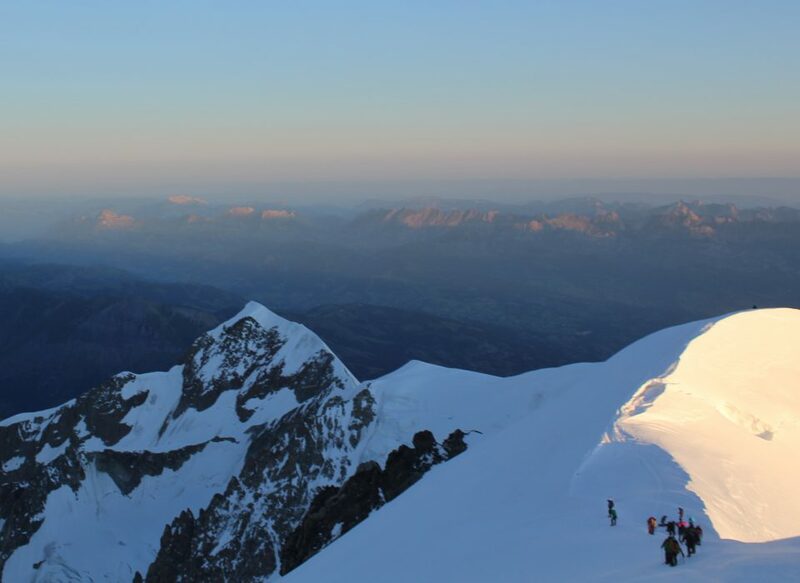 Here our guests can expect the kind of authentic welcome and service that the French Alps are famous for. You will witness the genuine warmth and kindness that characterize the valley’s locals and our establishment’s team. 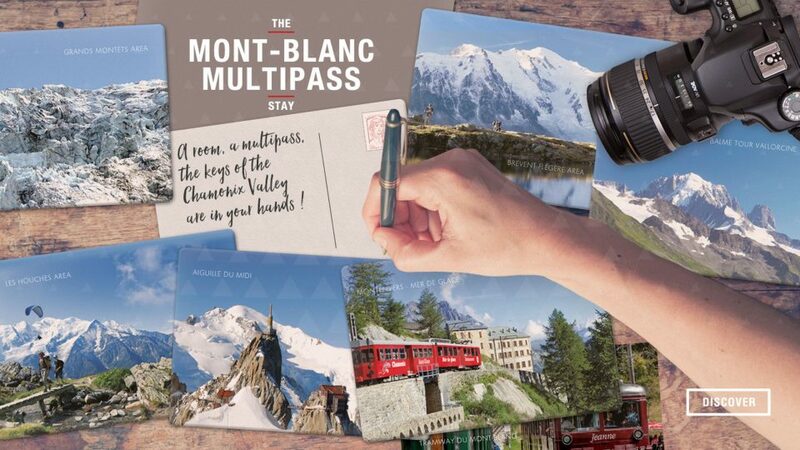 Are you looking for a ski pass? A tip on where to eat? Tomorrow’s weather forecast and what to do if it’s bad? The hotel’s Guest Relations have the answers to all of your questions. 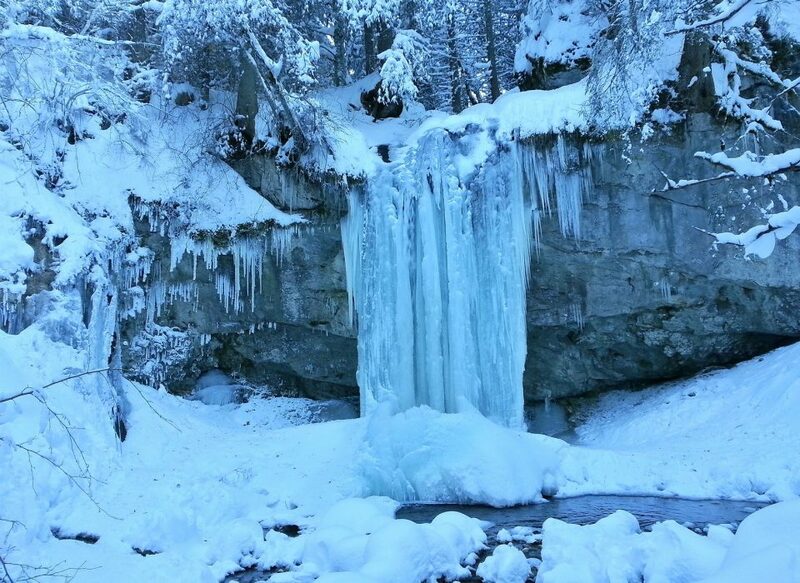 In the heart of the mountains you’ll be plunged into a dreamy and magical world of ice. 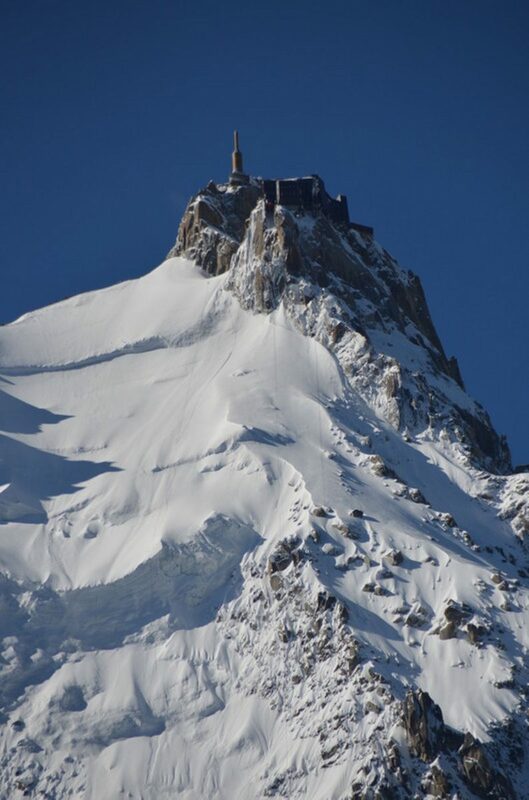 Chamonix is the capital of mountaineering. 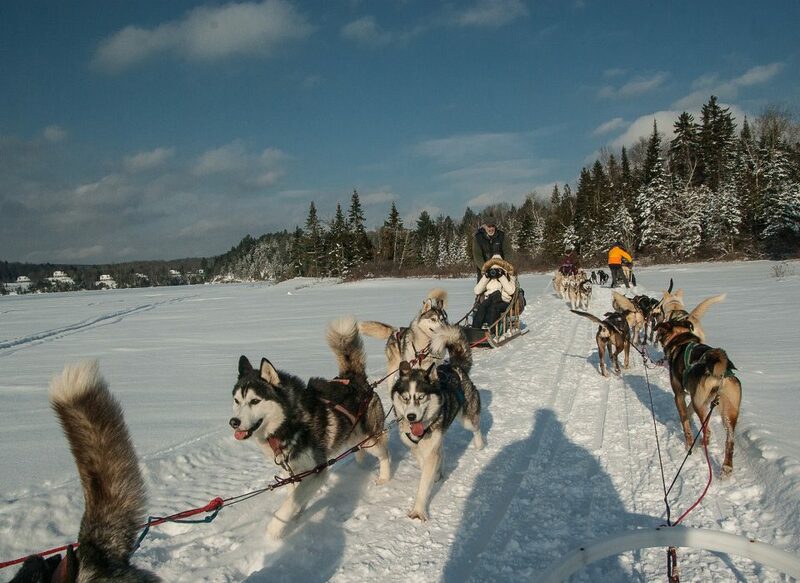 Discover another way to enjoy the slopes with animal companions. 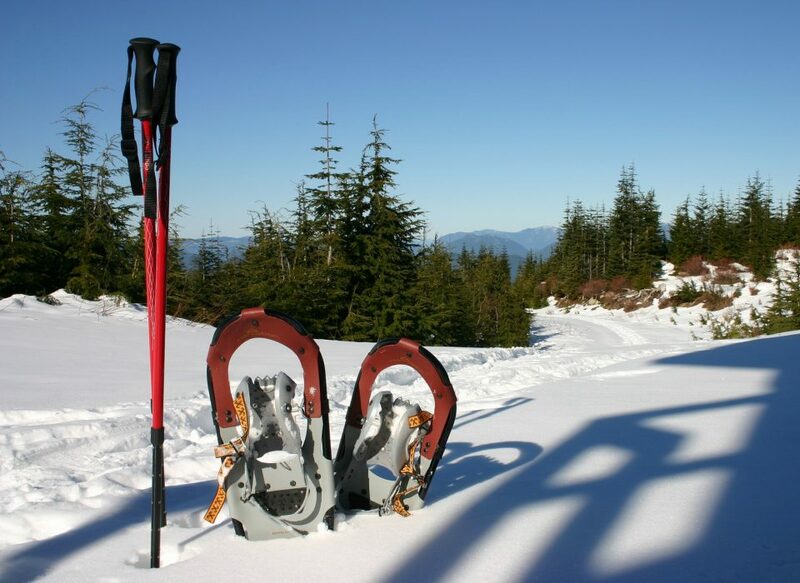 Snowshoeing is an ancient practice that originated with the natives of North America. They used snowshoes for winter hunting expeditions. Skijoring is a new form of skiing. 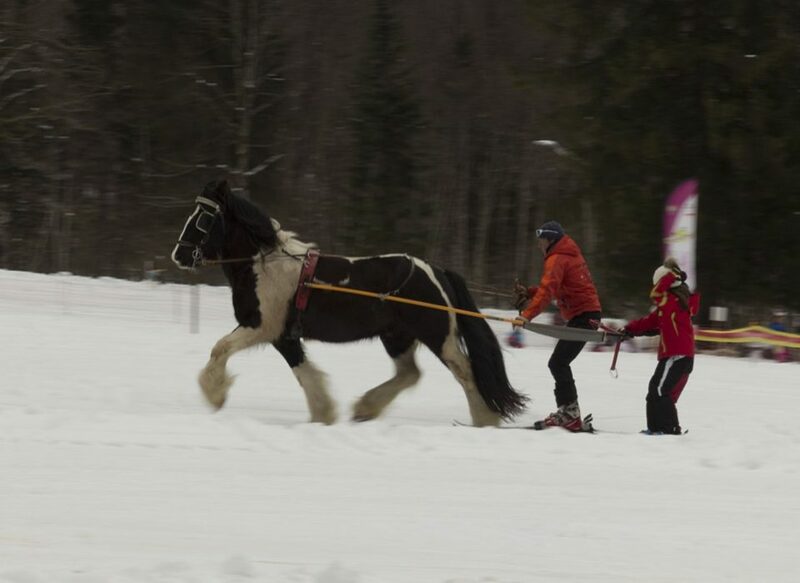 It’s a sport that combines skiing and harness riding. 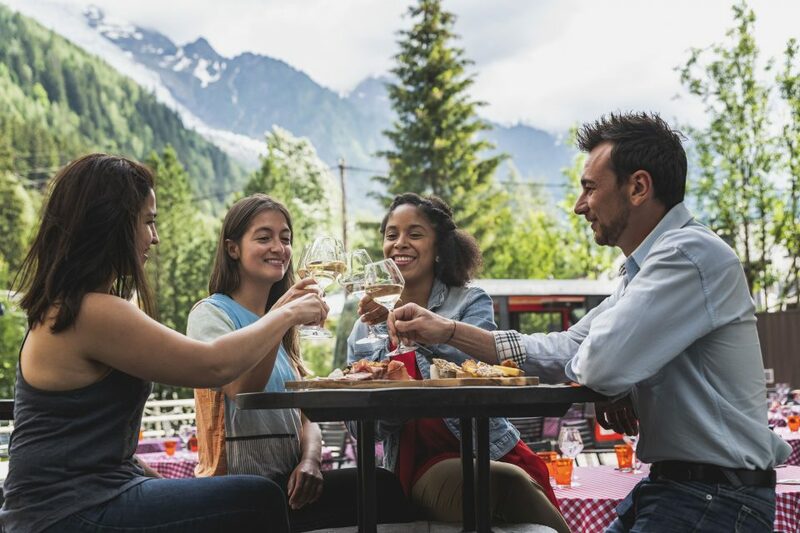 Enjoy the diverse activities and entertainment in the Chamonix Valley in summer. This cozy room has a nice mountain atmosphere and a surface area of 20sq.m. 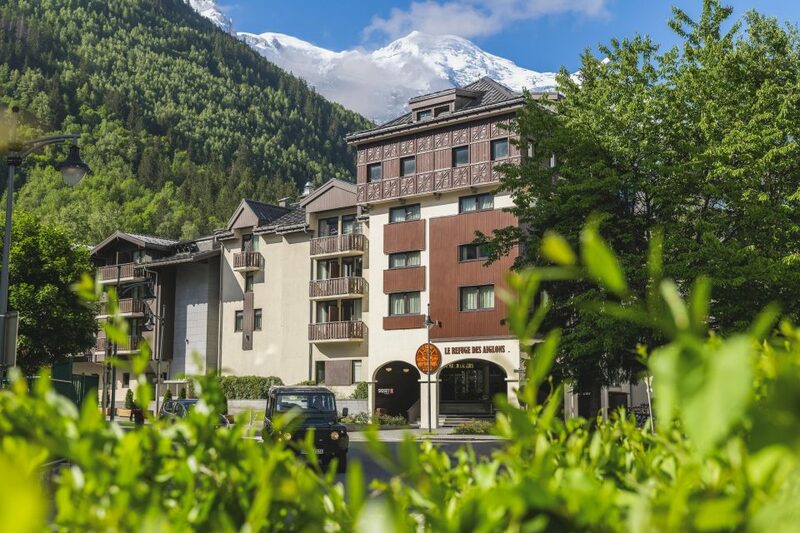 Have a nice restful night on one large bed or two twin beds and enjoy the view of Chamonix! Subscribe to our newsletter to be updated about our latest news and offers!